The following article is from the latest issue of The Socialist about how we can build a mass movement for public housing for all. It was written before the brutal attack by Gardaí and private security thugs on the occupation in North Frederick Street, which sparked a spontaneous protest of over 1,000 on the streets of Dublin City centre. 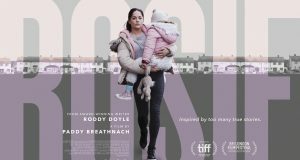 Rising rents, record homelessness, half a million young people locked out of the housing market – Irish capitalism’s housing crisis just goes from bad to worse. How can a successful movement be built to challenge the Government’s housing policies and force change? 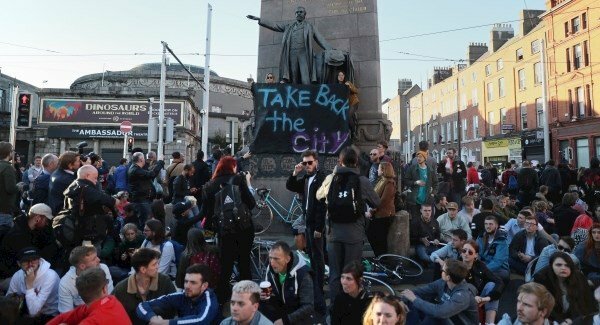 In recent years, Irish society has witnessed two examples of national campaigns which have mobilised big numbers of working-class and young people and forced change: the anti-water charges movement and the repeal campaign. Both campaigns were grassroots campaigns which mobilised the maximum number of people on the streets in support of clear goals. Interestingly, both contained a radical wing which promoted militant action in the form of non-payment of charges in the one campaign and the illegal distribution of abortion pills in the other. 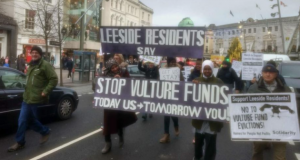 The occupation of vacant properties at Summerhill and North Frederick Street in Dublin has mobilised hundreds of housing activists around the demand for compulsory acquisition by the council of vacant properties. The National Coalition on Housing and Homelessness mobilised 10,000 on the streets in April. The same forces – Trade Unions, Housing NGOs, political parties – are mobilising now for the “Raise the Roof” protest at the Dáil on 3 October. This protest is being held to coincide with a Dáil motion calling for an increase in capital spending on Housing to €2.3 billion in Budget 2019. The Socialist Party is supporting this motion and this mobilisation, but if much bigger numbers of people are to be mobilised on the housing issue, a more radical programme linked to mass weekend demonstrations will be needed. It must have to the forefront of its programme the demand for building social and affordable housing. The Socialist Party believes that the bold demand of 20,000 units of public housing per annum and 100,000 units over five years should be advanced. We also believe that the low threshold for public housing eligibility should be abolished so that workers’ on average wages are no longer excluded. Housing analyst Mel Reynolds has estimated that there is sufficient land in state ownership (NAMA, local authorities) already zoned for residential development to allow for the building of 114,000 homes. This can be paid for without resorting to increasing tax on working people. It is estimated by academics in Maynooth University that the state could save €23.8 billion over 30 years by building public housing rather than enriching landlords via HAP (Housing Assitance Payments) along with a massive tax increase on the wealth and profits of big business. The surge in homelessness is coming first and foremost from the issuing of notices to quit by private sector landlords. It is literally insane to allow such evictions continue apace in the middle of the greatest housing crisis in the history of the state. The demand for an outright ban on economic evictions is a potentially powerful magnet for the creation of a mass campaign. The goverment’s “rent controls” have proven to be a cruel hoax. Real rent controls should mean not just a slowing of rent inflation, or even just an outright freeze on rents. When rent is as high as it currently is, real rent controls must mean measures which slash the price of rent and a clear call for such controls can prove tremendously popular. Sinn Féin have announced their intention to submit a Dáil motion of no confidence in Housing Minister Eoghan Murphy. The Socialist Party will support this motion, but on the very clear basis that exchanging one Fine Gael Minister for another will make no difference. 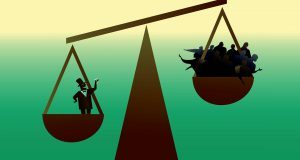 There needs to be a change of policy which doesn’t look to the “market” to solve the problems that the capitalist housing market itself has created. No government containing parties that support the logic of the market system will support such a policy. A fightback on housing can put the government under real pressure if a housing fightback is nurtured in communities nationwide and a mass movement begins to emerge. It is positive that the trade union movement, with its potential to mobilise big numbers, is now taking a campaigning stance on the housing issue. But a radical programme such as the one outlined above must not be avoided for fear of alienating “social partners” or burning bridges with Fianna Fáil. By combining a mass movement on the one hand, with a radical programme which makes no concession to the demands of the “market”, a powerful challenge to the status quo and for real change on housing can be built.